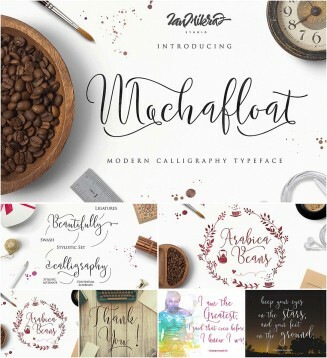 Introducing Mochafloat Script contemporary typeface, classic, beauty and elegant touch. Mochafloat Script features 380 glyphs and 200 alternate character contain with opentype features. File format: .woff, .otf, .ttf for Photoshop or other vector software. Tags: brush, calligraphy, font, hand lettered, script, swashes.